So, you’ve got a friend of you telling that salt can help you boost hair growth. Or stop loss. And you are wondering, is there any truth in the claim? Well, we are here to tell you that YES, adding salt in your shampoo can solve all your hair problems. This might seem like a far-fetched idea or something like a miracle pill, but salt in shampoo is the latest must-try hair care product. Even professional people in the hair care industry recommend this trick. So, what is the fuss? And how you can try salt for hair growth and prevent hair loss? Those who have tried it, claim it adds volume and bounce, all while removing toxins, dirt, and impurities from your hair. If you ever wondered how some celebrities and beauty bloggers always have perfect hair, you might thank salt for that. The trick is using sea salt. 1 How does sea salt help with your hair? 2 How much sea salt you need? 3 How often should you use it? How does sea salt help with your hair? Sea salt is a household ingredient. Most of us have it in their kitchen cabinet. We know sea salt makes food taste better, but what more can we use it for? Well, as it turns out, to achieve lustrous hair. Why and how sea salt works? Sea salt helps with exfoliation of your hair. Mixing the perfect amount of sea salt into your shampoo will help remove toxins and impurities from your hair. It is one of the best exfoliating natural products on the market. And the best part is, this is a DIY solution for growing thick hair, and preventing hair loss. The mixture helps strip the hair of dead skin cells which are clogging your pores and preventing natural hair growth. You can also get rid of dirt that has been building up. Unlike many other shampoos, this product is not harsh on your hair. It will not strip your hair of its natural oils. And the result is amazing, as you get fuller, thicker, and hair with more volume than ever. Try this trick if your hair feels flatter. When you use products on your hair on a daily basis, it will feel more weighed down due to the debris left behind. All of the old product build-ups can easily be removed with just salt and shampoo. How much sea salt you need? The key to success is finding the ratio that works best. Luckily for you, a lot of beauty bloggers have experimented, and you do not have to go through that painful process. For the best results, you need three parts sea salt, and two parts shampoo. You mix them together to create a scrub for your hair. We all know that the trend now is to use natural and organic ingredients for almost everything. But before you go and throw away old bottles of shampoo, wait a minute. While the sea salt in shampoo is a great remedy to aiding hair growth, you should not be using it on a daily basis. You might even end up with worse hair than before. The recommended frequency for this natural remedy is once per month. Anything more or less, and you risk doing more harm than good to your hair. Sea salt is not the only way to aid hair growth. There are other DIY products and ingredients that can help with natural hair growth. Now that we’ve established sea salt is good for your hair, let’s talk about other natural ingredients. Yes, putting a spoonful of sugar can also help. Sugar works in the same way as salt, it is a natural exfoliating agent. According to dermatologists, one spoon of sugar mixed into your shampoo is more than enough to provide exfoliation. 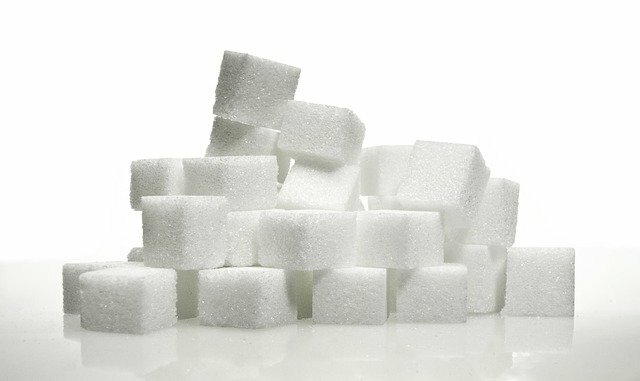 Sugar helps remove dead skin cells and leaves your hair moisturized and soft in the process. Conditioning is also an important part of hair growth, and sugar helps conditioners penetrate your hair more efficiently. Adding sugar to the shampoo helps to get a deeper clean and better moisture. Same as with salt, you should use the sugar trick once per month. Some people prefer using it once every four washes. Doing it more than that, you risk over exfoliating that can damage the scalp. Apple cider vinegar is another ingredient from your kitchen you can use to promote hair growth. Taking care of your hair is essential, and apple cider vinegar is one ingredient to try. Apple cider vinegar helps with dryness, and you should use it to soothe your hair and prevent dry hair. In the same time, apple cider vinegar helps balance the pH level of your hair, soothes and irritated scalp, and help smooth down cuticles. 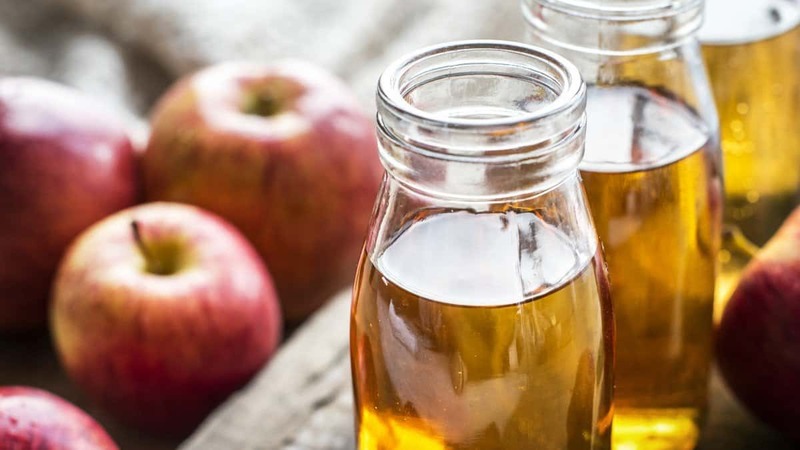 The best way to use apple cider vinegar is mixed with water, in 1:1 ratio. Use it as a rinse after your regular shampoo. Unlike sugar and salt, you can use apple cider vinegar more often and frequently.